MoIT Says Will Only Comply With Court – But Has It? Last week, members of the Bolo Bhi team observed a session at the National Assembly, anticipating a resolution to unban YouTube to be tabled. 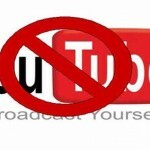 Member of National Assembly MNA Shazia Marri (PPP) had tabled a resolution seeking to lift the ban on YouTube on April 1, however, it never made it to the agenda. She was informed it would be put to the house in the next session: April 8. However, the resolution was omitted from the agenda despite the assurance. During the assembly session, Leader of the Opposition, Khurshid Shah (PPP) raised this on the floor of the assembly and was assured it would be included in the agenda. However, the session neared its close and still the matter did not come up for discussion. Ms. Marri took the floor nonetheless to raise this issue. The speaker, however, maintained the matter was in court and thus sub judice, therefore could not be discussed. In response to this Ms. Marri read out portions from the judge’s interim order, which stated that a “defenceless battle” was being waged against technology; that “it is impossible to block content 100% ;” and, most importantly, the government of the day had been instructed to devise a policy by the court. It must be mentioned that members of the opposition, namely Shireen Mazari (PTI), Dr. Arif Alvi (PTI), Syed Ali Raza Abidi (MQM) and Saman Jafri (MQM) had signed Ms. Marri’s resolution in support. MQM legislators raised point of orders to raise the issue which were quelled, and Ms Mazari was heard on the floor of the assembly saying “at least let her speak,” in reference to Ms. Marri. However, this too held no sway over the speaker, and in an unprecedented occurrence, the assembly session was called to a close much earlier than usual time. Minister for IT and Telecommunications, Ms. Anusha Rahman who attended the assembly session, left the NA just before the issue was raised, delegating to a fellow party member to respond on this matter. The next day, Bolo Bhi joined MNA Khurshid Shah, Shazia Marri and Senator Farhatullah Babar to issue a joint press statement from Leader of Opposition’s office, to register our concerns about the Government’s lack of interest on this matter. Senator Afrasiab Khattak (ANP), who also tabled a resolution to lift the ban in the Senate, was present in person to support the issue, while legislators namely Dr Farooq Sattar and Syed Ali Raza Abidi of the MQM, Shireen Mazari and Dr Arif Alvi of PTI, and Senators Mushahid Hussain Syed (PML-Q) and Osman Saifullah Khan (PPP), all extended their support even though they could not be there in person. It must be mentioned that a response was solicited from Google by the court in May 2013. The query was routed through the Ministry of IT and the response was to be submitted in June 2013. On the day of the hearing, an official from the Ministry of IT appeared and informed the court “Google was not interested in joining the instant proceedings.” This was a gross misrepresentation as the Ministry had already received a response from Google which it was supposed to submit to court. In the next hearing (July 2013), when this was raised in court, the document was discovered at the bottom of the case file. It appears that through a deliberate act, it was never formally submitted to court by MoIT. After hearing all sides: petitioner, ministry officials, PTA, Google (through it’s response in letter form) and amici, the honourable judge directed the Minister of IT to appear in court, seeking a response from her on what the government intends to do about the ban. An interim order dated August 2013 noted proceeding details and indicated a response that could be adopted to resolve this issue and similar ones if they occur in future. The government was instructed to come up with a policy. Seven months on, no such policy was prepared. When in March 2014 court hearings resumed before a divisional bench (two-member), again the Minister was summoned. The judge wanted a clear yes or no on lifting of the ban. However, again, the Minister did not appear; security reasons were cited for the no-show. The Federal Secretary IT appeared on her behalf, however the judge said it was the Minister who was asked to appear and it was her who needed to respond to court. As an alternate to appearing, the honourable judge then sought a written response by the Minister. The response that was ultimately brought to court was rejected by the judge. It was not on a Ministry letterhead nor signed by the Minister. The judge gave the federation two days for a proper response to be submitted. When the letter was received and contents read out, it was noted that it offered nothing substantive or new – it was a nine-month old response. Also as noted by the honourable judge, the letter did not respond to the question asked: what was the Ministry’s stance on lifting the ban on YouTube. Following this, through a written order issued by Justice Mansoor Ali Shah, heading the divisional bench hearing the YouTube case, the Minister of IT has been asked to meet with a committee of four IT experts (see here). This meeting has yet to be called – the members have not heard from the Ministry yet. Findings of this committee are to be compiled and submitted to court on May 13, 2014, which is the next date of hearing. 1) The government has not complied with court orders; in fact stalled proceedings by not appearing and submitting timely response. 2) By saying the government will not take an independent decision and follow court’s orders, it is actually contravening the court’s orders. 3) Resolutions by opposition members to lift the ban on YouTube, both in the National Assembly and Senate have been blocked. The government is trying to prevent discussion on this subject in the assemblies by saying the matter is sub judice, even though the court has clearly instructed it to meet with experts, consult stakeholders and devise a policy and move towards a solution. 4 Responses to "MoIT Says Will Only Comply With Court – But Has It?" Bolobhi by allying with opposition (which blocked it) and politicizing the issue has done disservice to both itself and freedom of internet in Pakistan. If Bolobhi really believes in internet freedom it should never have allied itself with the very parties which blocked it. This short term attention is going to hurt the cause of internet freedom. Ahmed, thanks for your comment. We are not allying ourselves with any ideology and political party, but using our democratic rights to raise an issue of public concern in the Parliament. This needs to be done. PPP is not the only party in the opposition, as you can read from the statement. We need every bit of support we can get and need to continue to raise the issue. Wonderful reporting of facts here. I do hope Minister Anusha Rehman can take responsibility of this issue and resolve it amicably. By avoiding it and running away from it will only make her look bad and keep the issue unresolved.